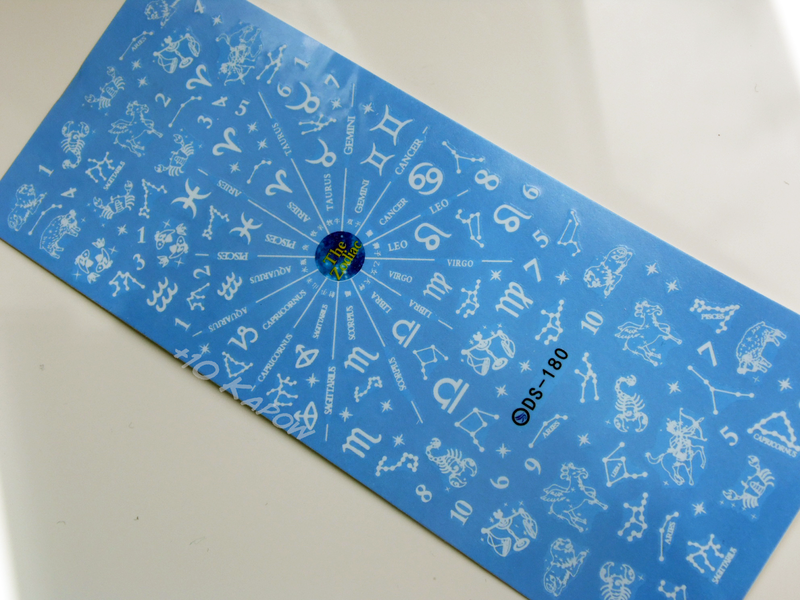 Today I am going to show you these zodiac water decals from Born Pretty Store. As you can see, you get a quite a lot of decals on this sheet including constellations, symbols, numbers, words and little stars. The decals are individually cut, which can make for ease of use but because some of the decals, especially the stars, are very tiny, I did find it a little difficult to remove the decal from the backing and place it on the nail. That was, until I discovered that you can use them much like temporary tattoos. Cut the chosen decal off the sheet, make sure the plastic cover is removed and hold on nail, then get it wet, push down and slide the backing off the nail, this should leave the decal on the nail. Using the temporary tattoo method does mean that the decals can be back to front so to speak, there is no colour loss but the image is reversed. As long as that doesn't annoy you this is the best (easiest) method to use. 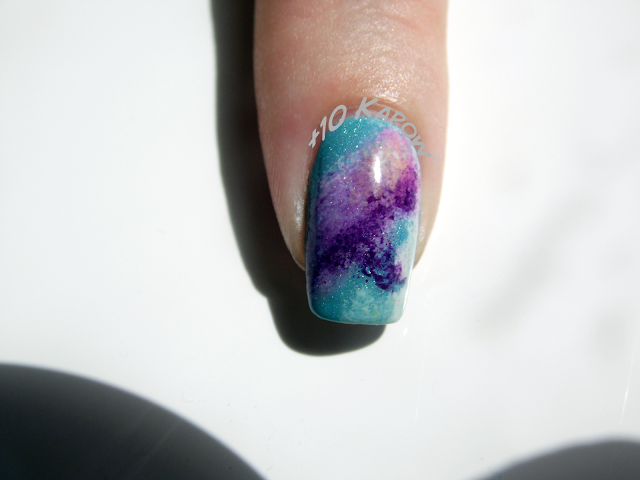 Before I show you the nails with the decal on, I want to show you the base. 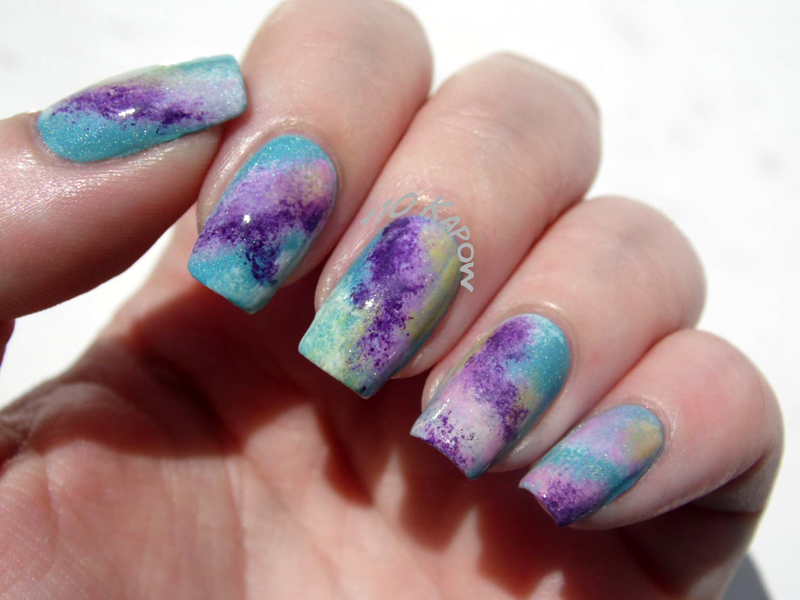 Have you ever done a base for your nail art so perfect that you didn't want to put anything over it, or take the nails off ever? This base is that base for me. I went for a pastel galaxy look using Freckles Polish Party Poppers as the base colour and sponged on Barry M Matt White, Ciate Candy Floss, NYC Lexington Yellow and Barry M Plum. The colours were perfect and created the look of spacey gas clouds. The camera didn't pick it up as awesome as it looks IRL but they look like they are all sitting on top of and swirling around each other. So in love with how it turned out. Freckles Polish Party Poppers is perfect for this look. Onto the decals then. On my thumb, index and top half of my middle finger, I used the normal water decal application method and the rest I used the temporary tattoo method, you can't tell the difference. The decals didn't split or break and they remained vibrant, even over the lighter colours. They clung to the nail nicely and dried very quickly so there was no slippage and no crinkling. I applied a coat of Seche Vite, this did not cause any curling or crinkling and once dried you cannot see the outlines of the decals. 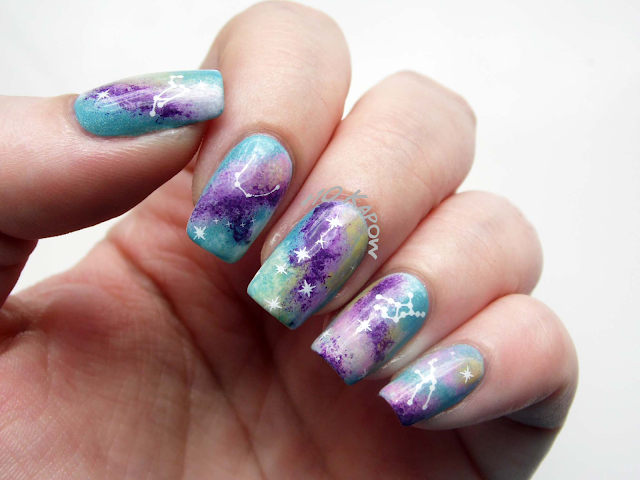 I really like how basic and beautiful this mani turned out, I tried to keep it simple and not too busy but I suspect a nice dark galaxy with the Astrological symbols and stars all over would look awesome too. You can find these decals here for £1.30 ($1.99) for one full sheet as pictured above. 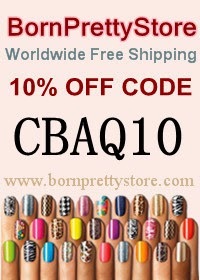 Don't forget to use my code CBAQ10 for 10% off your entire order amount. Hope you've been having a good week so far. 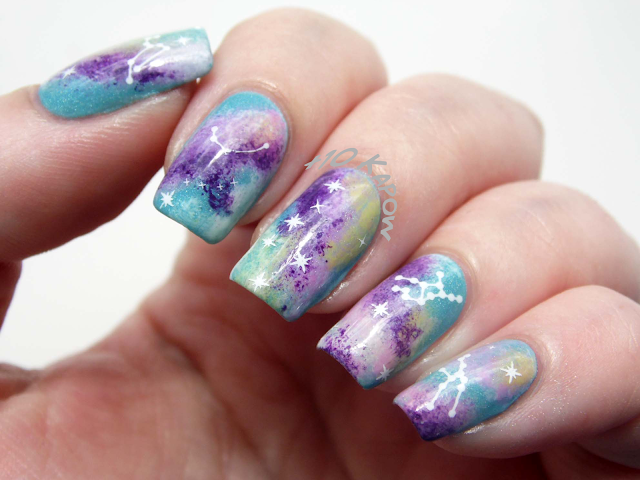 What have you go on your nails today? The decals in this post were sent to me for review purposes. All opinions expressed are my own honest opinion.